On this day one of Americas most celebrated marksmen was born in Darke County to Jacob and Susan Moses. They named here Phoebe Ann Moses. Her mother always called her Phoebe, but her four sisters and two brothers called her Annie. Annie’s father died when she was six leaving his wife and seven children in dire straits. 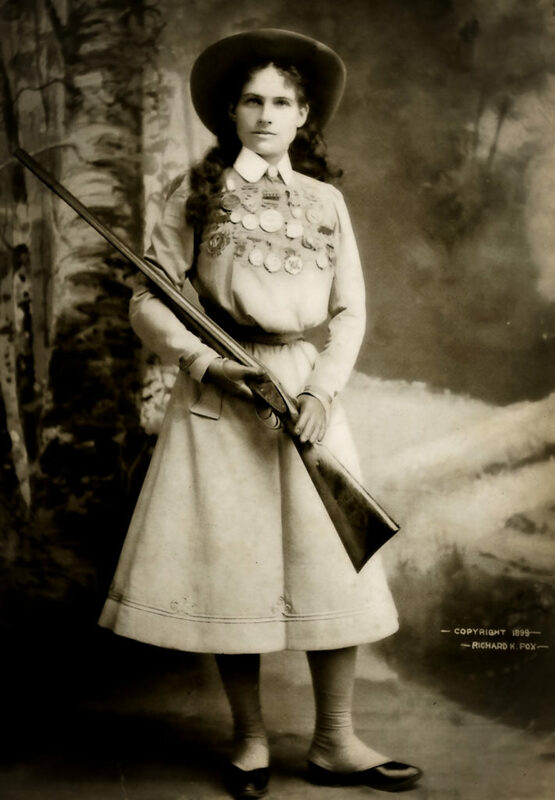 To help feed the family, Phoebe Ann, who her father had already taught how to use his rifle, began hunting wild game. She became quite proficient at hunting and began selling the game first to a local restaurant in Greenville. It became widely known for provided exceptionally clean game, meaning that she only brought down the game with only 1 shot. 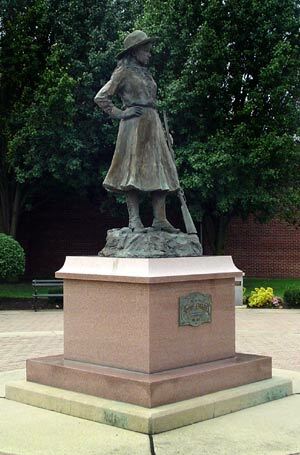 In November of 1875 while visiting her older sister Lydia in Cincinnati and who convinced Phoebe that she ought to take up a challenge being offered to any local marksmen to enter a shooting contest for local marksmen, the winner would take home $100. Phoebe decided to give it a try. A number of local marksmen also entered the contest including an Irishman named Frank Butler who was a side-show marksman with a traveling variety show. Butler figured it would be the easiest $100 he ever made. He was next to the last contestant and had he figured the contest was all but over with the only other contestant was a small teenage girl. When Butler asked someone who she was, they said, “That’s Annie Mozee from Darke County. She hunts squirrels.” Butler had hit 24 out of 25 targets, better than anyone else. He didn’t figure the little squirrel hunter could beat that, but he was wrong. Years later Butler would said “I was taken off guard.” Even after losing the $100 in prize money, he offered little Phoebe Moses, her mother and 4 sisters free tickets to see his show. That was the beginning of a year long courtship that resulted in Frank Butler and Phoebe Annie Moses being wed on August 23, 1876. Six years later Phoebe took the stage when Frank’s partner John Graham took ill. It was the beginning of her stage career and world-wide fame. 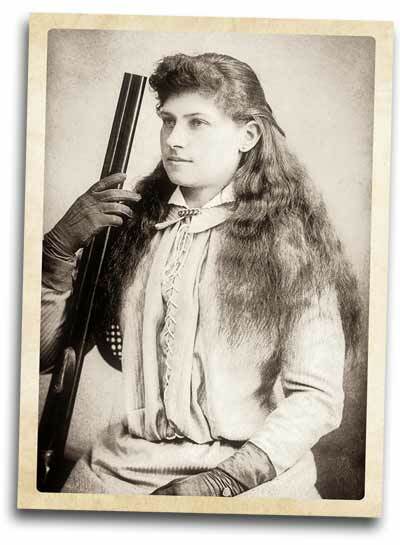 It’s not known for certain where Phoebe Ann Moses Butler acquired the name Annie Oakley. The most common source is that in the 1870s she lived for a while in a Cincinnati suburb named Oakley. This is total speculation. There is also some difference of opinion on her maiden name Moses. She insisted the family name was Mosey, at other times she said it was Mozee and at one time on the census it was listed as Mauzy. 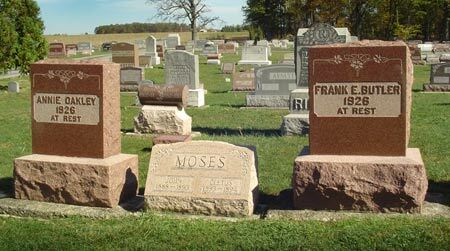 Her brother John insisted the name was Moses, and since he was the last one to pass, it was his choice to have the family headstone inscribed with Moses. They remained married until Annie’s death on November 3, 1926. Frank died 18 days later and both are buried in Brock Cemetery just north of Greenville. It is said that Annie was cremated and the urn holding her ashes were placed in Frank’s casket and they both were buried together, on November 25, Thanksgiving Day, the same day they first met in 1875. Those in the know, knew Pete had a gambling problem but everyone thought he only bet on football or played the horses. Then in ’89 those same people in the know began to suspect he was betting on “the game” and then it was betting on his own team. Charlie Hustle as the press called him, began playing baseball in 1963 for the Cincinnati Reds and continued playing until 1986. In 1984 he became the team’s manager and remained that position after he retired as a player until the end. That beginning of the end came in February of 1989 when he was questioned by baseball commissioner Peter Ueberroth on allegations that he was betting on the game. Without question Pete denied the allegations and Ueberroth dropped the investigation. When Ueberroth retired as commissioner shortly after this, Bart Giamatti took over and three days later, he hired an attorney to investigate the allegations against Pete. Lawyer John Dowd began an extensive investigation, interviewing players, bookies, and bet runners. Dowd came documented the allegations against Pete and then issued his report. In the report Charlie Hustle as Pete was called by the press was shown to have been wagering at least $10,000 every day during ’87 and he bet on 52 Cincinnati Reds games. Pete and his friends did not believe the report and Pete refused to appear before the commissioner later that year. The commissioner threatened to take the matter before a federal court. At that point Pete negotiated a settlement. On this, August 24, 1989, Pete agreed to be permanently placed on baseball’s ineligible list. It was a dark day for baseball and 8 days after issuing this agreement, Bart Giamatti died of a heart attack. In 2004 Pete Rose published a book where he admits to gambling on the game and his team. On this day Judith Ann Berry gave birth to a beautiful daughter she named Ann. Ann’s father was a hospital attendant and her mother a psychiatric nurse in Cleveland. Little did they know that their beautiful little girl would go on to become one of the world’s most stunning actresses. While attending Bedford High School, Ann becomes an editor on the school newspaper. With this experience she decides that maybe a career in journalism would be good. But then, she becomes captain of the cheer leading squad, and then in her senior year she is elected class president and homecoming queen. When Ann turned 17 she represented Ohio in the Miss Teen All-American Pageant. The next year she again represented Ohio in the Miss USA Pageant and later that year she would be a finalist in the Miss World competition. She attended Cleveland’s Cuyahoga Community College. In 2001 she would become the first African American to win an Academy Award. 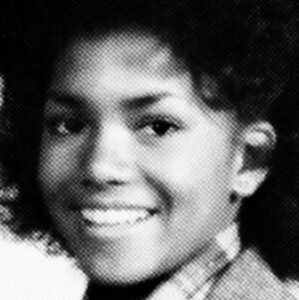 On this day in 1966, her parents gave her a name we all know today: Halle Ann Berry. Happy B-Day Halle!